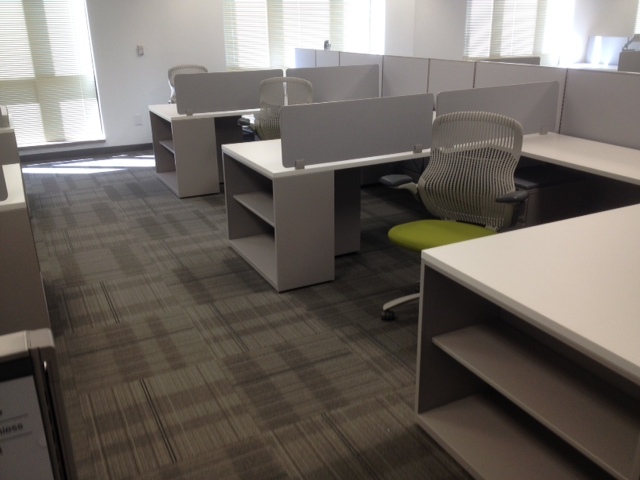 Remanufactured offices saved this firm’s bottom line – Contemporary Galleries | Full service furniture dealer located in Charleston, West Virginia. A company with offices worldwide initially contacted Contemporary Galleries asking for “used” furniture because of budgetary restrictions for an expansion at one of their local facilities. The client became intrigued when told about remanufactured product and closed the deal when the cost savings were significant compared to purchasing brand new furniture. The client thought of us again when they built a new location and opted to go with remanufactured product again. With such a huge cost difference between new and remanufactured, it only made sense. And now the client is happy with their “new” work stations. Each station includes an oversized top measuring 72″ x 36″ supported at one end by a bookcase and a file/file ped to allow employees to easily spread out construction documents. The adjacent worksurface is 54″ x 24″ with a mobile box/file ped with cushion that acts as a guest chair for brief meetings. Many have fully adjustable dual monitor arms manufactured by Humanscale. The wire management underneath the worksurfaces is from Doug Mockett and Company. Contemporary Galleries was established in 1976 to bring quality products and design services to West Virginia and surrounding states. 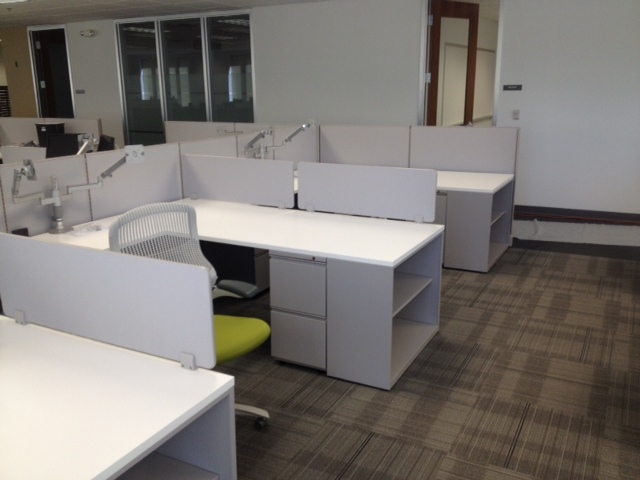 We are a Herman Miller/Milcare dealership specializing in systems furniture, commercial, office and healthcare design.